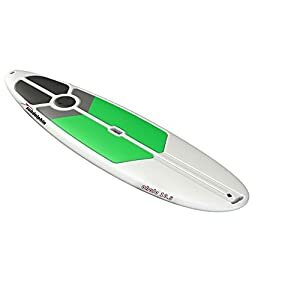 The BIC Sport ACE-TEC 9’6″ Standup paddle board incorporates BIC Sport’s proprietary ACE-TEC Epoxy/ASA Thermoformed construction technique, giving you the stiffness, weight, and float characteristics of traditional Epoxy Standup construction with a 30%+ increase in ding resistance and durability because of the ASA outerskin. 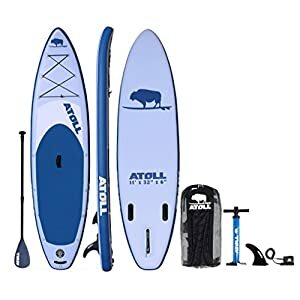 At 9’6″ x 28″ x 23# with 130L of floatation, the ACE-TEC 9’6″ is perfect for women and smaller paddlers. 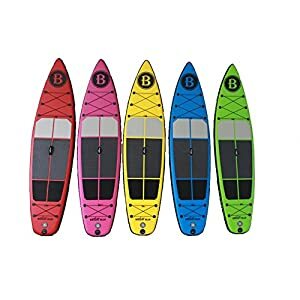 The traditional shape gives excellent stability for beginner paddlers, even as the stiffness and light weight makes the Jungle perform great for intermediate and advanced paddlers. With an integrated carry take care of and only weighing 23 pounds, the ACE-TEC 9’6″ is easy to transport. There is also an installed deck pad for comfort and traction even as paddling. Additionally, the ACE-TEC 9’6″ comes with a built in leash plug. The 9’6″ may also be paddled as a single fin or attach the included side-fins for a Tri-fin setup for wave riding. 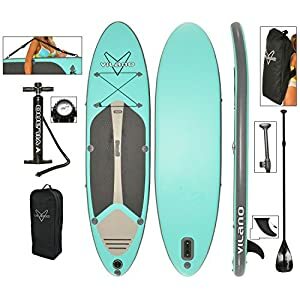 The ACE-TEC 9’6″ offers the entire stiffness and weight benefits of traditional standup paddleboards with the additional advantage of over 30% more durability at a very attractive and affordable price.